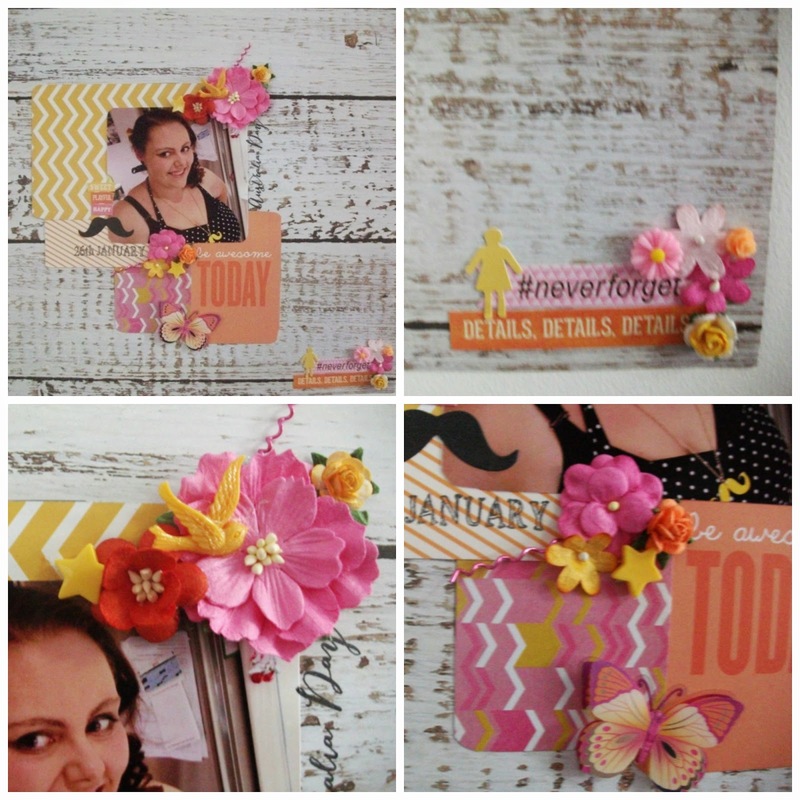 Jess' Crafts: Australia Day - Scrapbooking! I received a parcel of goodies the other day, from D-Lish Scraps, as soon as it arrived, I had to play! I went through the store, and ordered a whole bunch of yummy goodies for this months inspiration board challenge! I had this photo, which was taken after my friend Angela did my hair an make up, before we hit the town on Australia Day. I thought I'd already scrapbooked it, but apparently not! As you can probably tell, my main inspiration for this layout was the colour scheme, the chevrons and a very loose interpretation on the sketch! Don't forget to pop over and play for this months prize! Great page. Thanks for joining us at D-Lish Scraps this month. 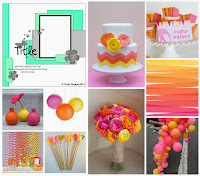 Oh Jess this is fabulous and a great take on the mood board.